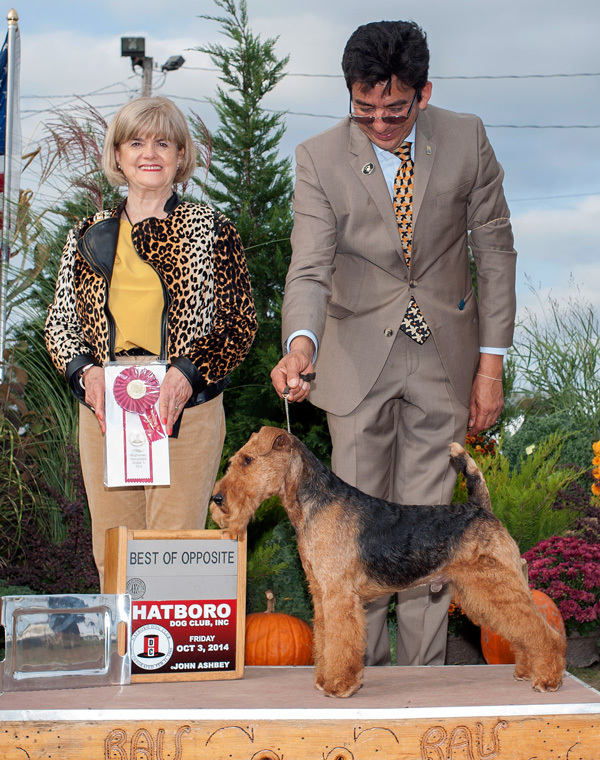 Top winning Welsh Terrier in Canadian History + Significant wins at many top Terrier shows in the US &Canada and BIS at All-Breed shows in both countries! 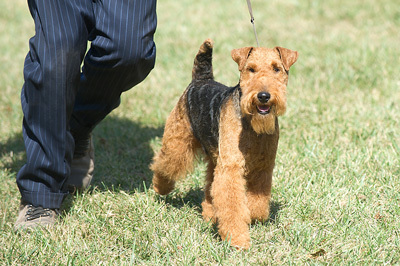 Trooper is one of the top Welsh Terriers in the US for 2014! 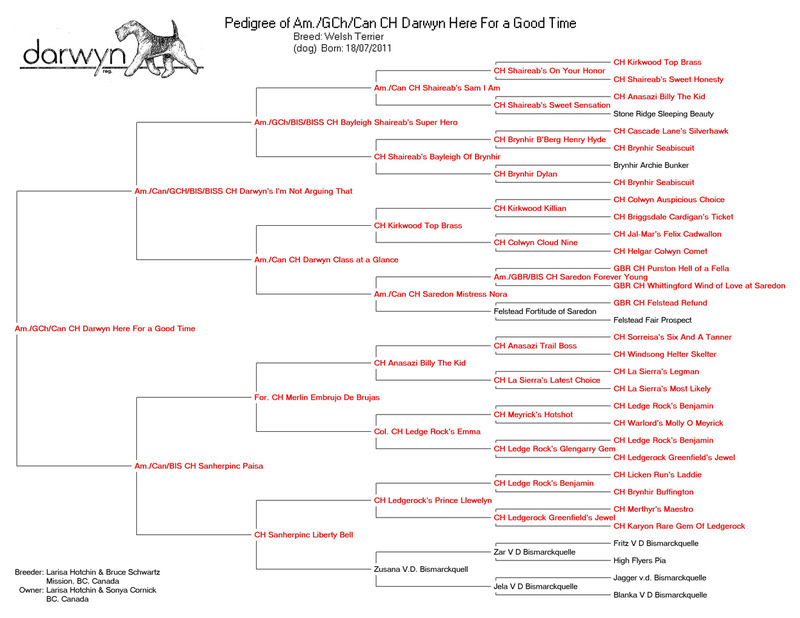 He wasn't even a champion at the start of the year - in either country! 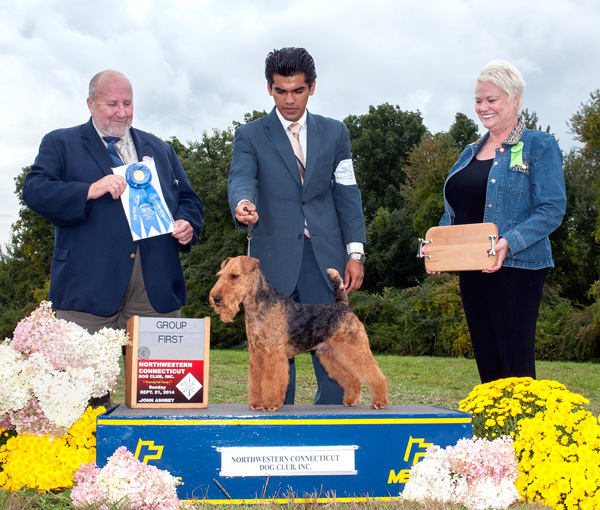 He's now a champion in both countries AND got his Grand Championship in the US in the same time period! 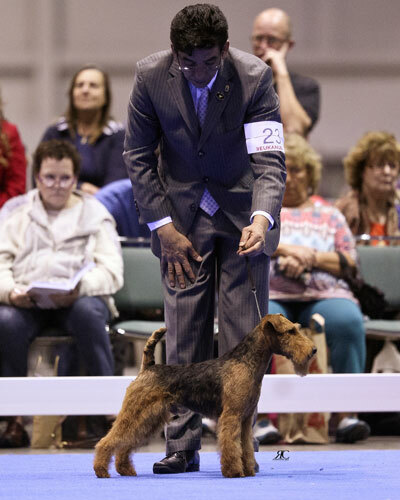 And ... at the time of writing this, he is only a couple of points away from his AKC BRONZE GRAND CHAMPIONSHIP -- WOW! 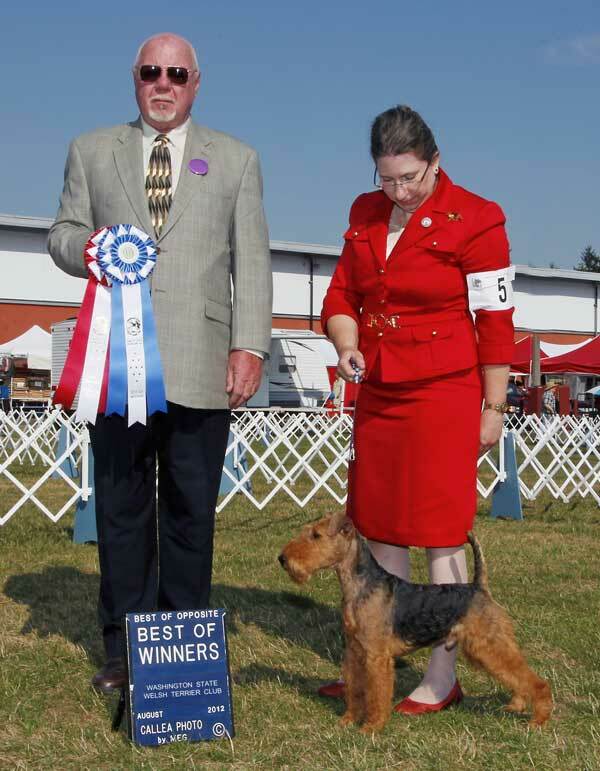 Given the low entries in our breed, in general, this is truly an accomplishment that says much about the quality of this dog. 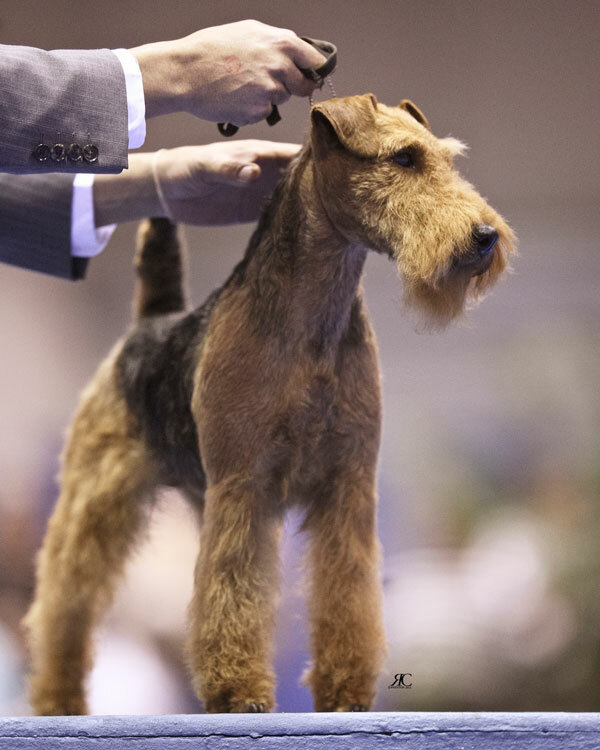 We are very proud of him and what he has done ... and it seems like he has only just started! 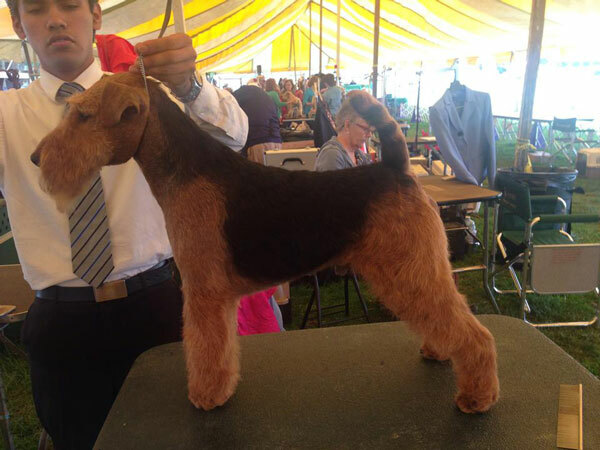 * Select Dog at Welsh Terrier Club of America National Specialty atMontgomery County Kennel Club 2014! 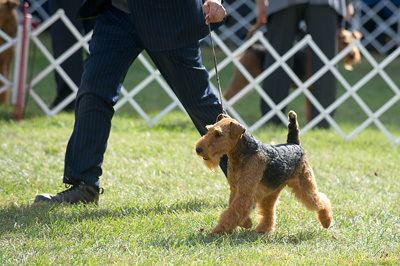 * Finished his US CH and US Grand CH in excellent competition - and quickly! 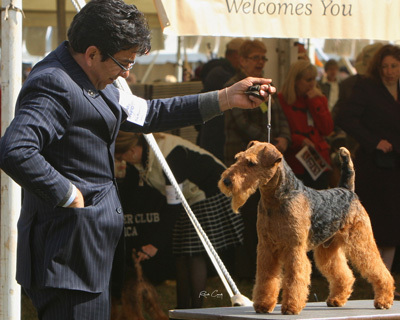 --> Actually, he achieved his US CH in only 5 weekends of shows, his US Grand CH shortly after that (and in very competitive group of welshies. 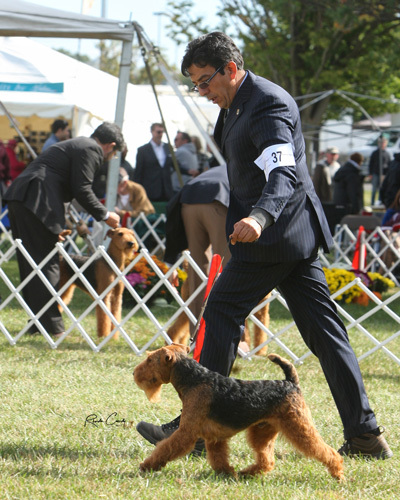 He then took a short trip up to Canada and finished that same weekend he went up with multiple group placements and a Terrier Group 1st win! 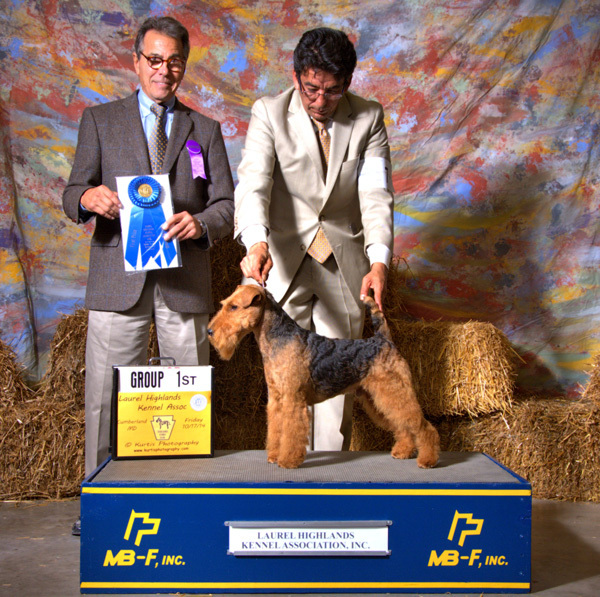 *Trooper has only sired 1 litter, but from that litter, he is the sire of 2 champions! 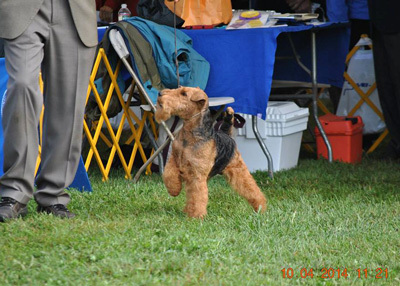 "Maria" (Can CH Darwyn's Santa Maria) is a multiple Best Puppy in Show winner and BOS sweeps winner at the WTCA National at Montgomery 2013! 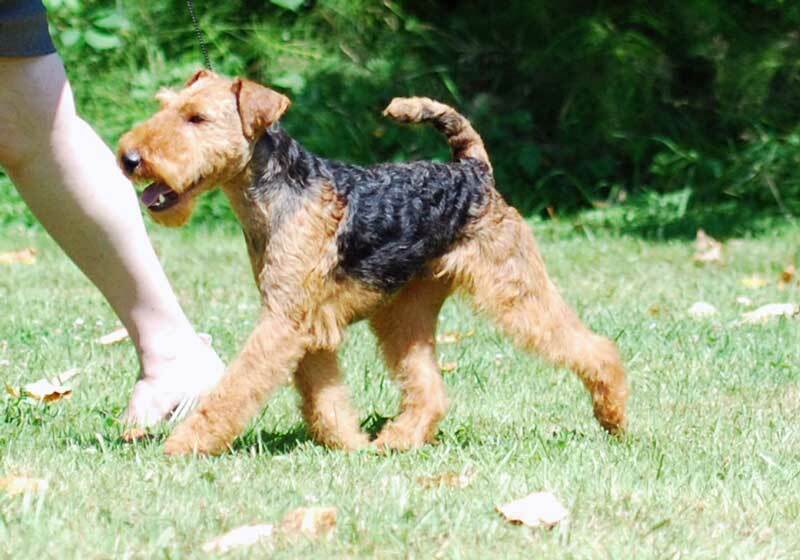 "Indie" Can CH Darwyn's Miss Independant is Maria's litter sister. 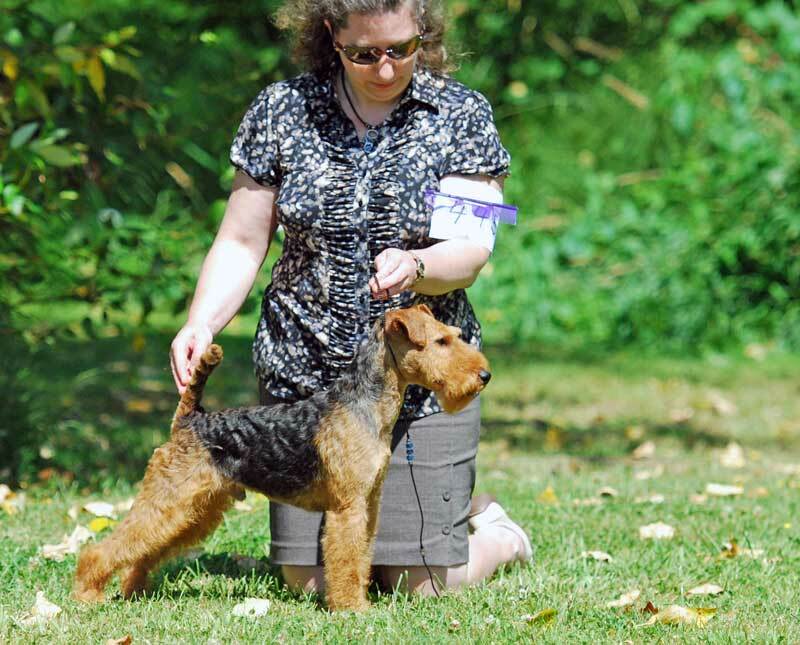 She finished during the summer 2014 and is well on her way to her AmCH. 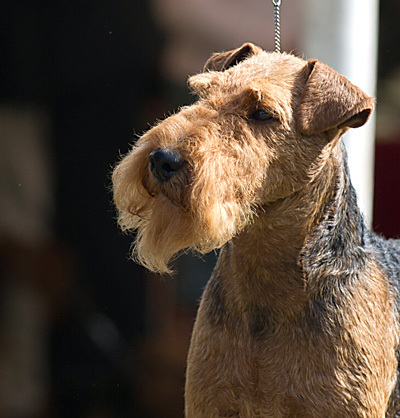 And now for something completely different .... one of the weekend getaways that Michael and I did where Trooper joined us. 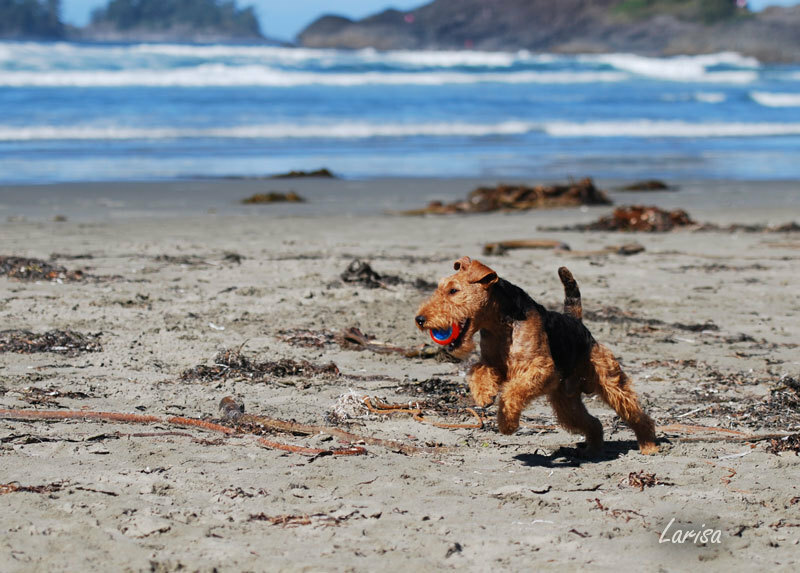 Here he is having fun on the beaches of the West Coast of Canada in the Tofino (Long Beach, BC) area! 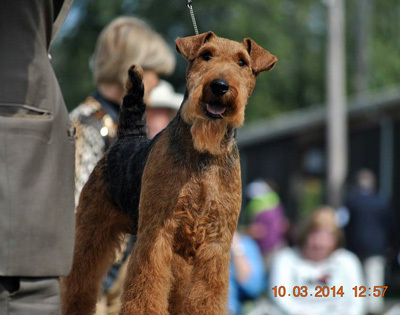 American BRONZE Grand Champion & Canadian Champion Darwyn Here for a Good Time!